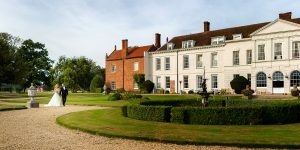 Ultimate Wedding Guide – Coming Soon! Ultimate Wedding Guide by Funky and The Grumps. Who is “Funky”? That’s my wife and she is a multi award winning celebrant. As for The Grumps, well that’s me but I’m not grumpy really. The two of us have put our heads together and come up with a series of 25 videos which will be published, one per day, in the run up to Christmas. 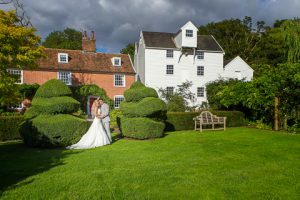 Starting on 1st December and ending on Christmas Day, it’s a kind of wedding guide advent calendar. In bite sized chunks of only two to three minutes in length, each one answers a question we have been asked by couples in the lead up to their wedding day. 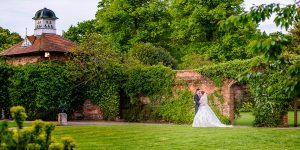 Our aim is to give practical advice on real questions we have been asked based on our many combined years of experience in the wedding industry. 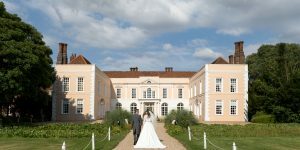 It is our hope all you engaged couples out there planning your wedding day will find it useful. Wedding Albums – D.I.Y. or Studio Designed. 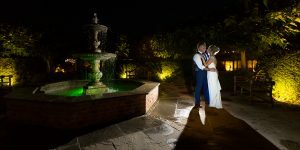 Wedding Albums – D.I.Y. or Studio Designed? 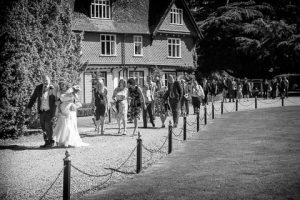 Maybe you are thinking about assembling a few of your favourite photos from your day and sticking them into a suitable book. Perhaps designing a “photo book” on line and getting it printed. These are both good money saving ideas and, if you have a “good eye” for design, then go for it, but there are some issues you need to be aware of. Firstly, photographers are great at telling the story of your day. After all, that’s why you hired them in the first place. They are experienced in designing wedding albums and know how to design an album that will tell your story in the most beautiful way possible. They have access to the highest quality products that are only available to professionals. Products that are made to not only look beautiful and special, but are designed to last for many years to come, a lifetime and beyond. 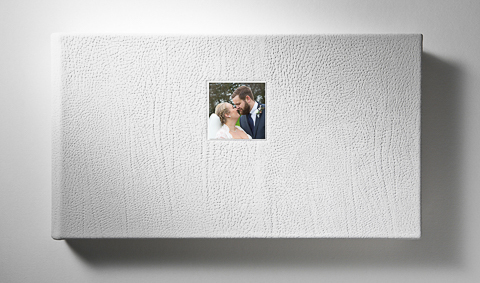 Your wedding album can be personalised, made from materials you have chosen with the photographs arranged to tell your unique story. Your photographer should have a range of sample wedding albums for you to look at closely so you can tell for yourself whether or not they are of good quality. They should have samples of all the available materials so you can examine them for quality and see their true colours. Queensberry Wedding Album with “Cover Motif”. 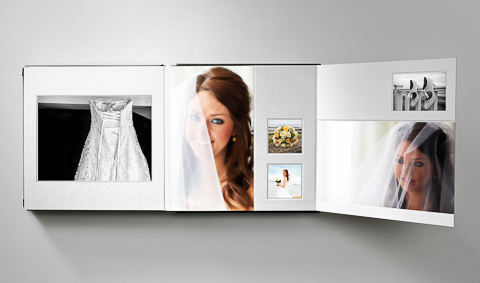 When you design and order a wedding album on line, you really cannot be sure what you are going to receive. You may choose a cover of a certain colour and find, after it has been delivered, that it looks a very different colour when seen “in the flesh”, as it were. It’s the same with your photographs. Depending on the “colour space” or “colour profile” used, they also can look different on your screen to how they look in print. Why is this? Because unless you are using a professionally colour calibrated computer monitor which is regularly re-calibrated, the colours on your screen will not be the same as those of the print. 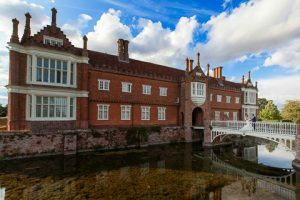 You also have to consider the “colour temperature” or “profile” of your photographs and the colour space that is being used by that particular printer. Producing a really good quality print is something that really is best left to the professionals. By that, I mean the printers. I don’t print any images off for resale myself for that very reason. I am a wedding photographer, not a printer. Like the majority of professional photographers I know, I leave it to people who are professionally trained and skilled in printing. 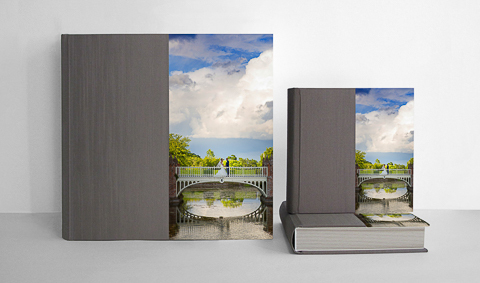 Queensberry “Half Photo Front” wedding album with “Parent’s Duplicate”. Then there is the quality issue with the album cover. You really can’t tell if something is well made and of good quality just by looking at it on a computer screen. You need to hold it. Touch it. Pull it about a bit. A wedding album is a very tactile thing and only by examining it “in the flesh” can you tell whether it is of good quality or poor quality. You might chose a “leather” cover on line but, on a screen, you really have no idea whether that leather is of good quality or not. Believe me, leathers are not all the same, they vary a great deal in quality. Quite possibly the best commercially available wedding album in the world. 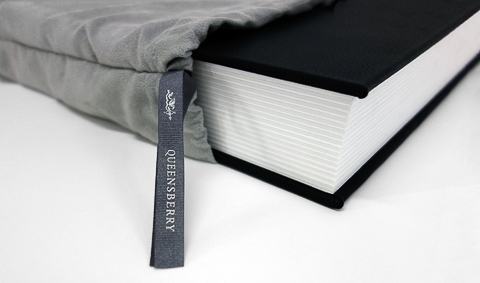 I use Queensberry for my albums and I can say with complete honesty that the “photo books” I have seen provided through a “design it yourself” type service are nowhere near as good in terms of quality. 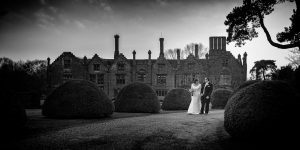 I did have a couple for “wedding fairs” so that I could offer them as a cheaper option. I stopped offering them when they fell apart. None of my Queensberry wedding albums have come apart, even after years of being “pulled around” at wedding fairs. At the end of the day, you have a choice to make. I realise that choice is governed to a large degree by your budget. In my personal opinion, buy the best you can afford. If that means you have to wait a year or two, then be patient. You don’t have to get your album straight after your wedding. Speak to your photographer about it. For those of you who have already lived together for some time, you might already have enough kettles and toasters. 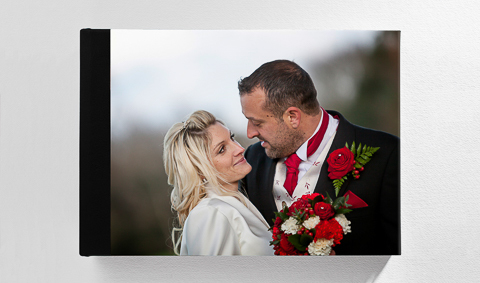 If your guests are stuck for an idea of what to buy you for a wedding present, some photographers (myself included) offer a gifting service where your guests can make a contribution of any amount towards your album. 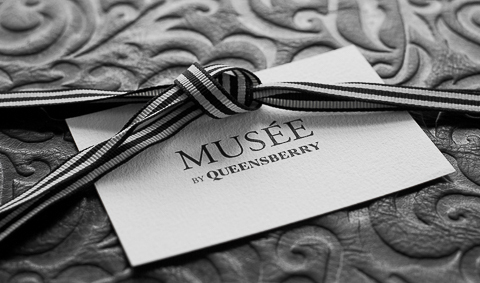 Queensberry “Full Photo Front” wedding album. 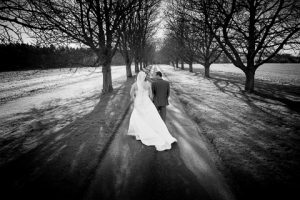 A good quality wedding album will last your lifetime and beyond. As I have said before, if well cared for, it will become a valuable family heirloom to be passed on to future generations. My in-laws recently celebrated their 60th wedding anniversary. All the guests wanted to see their wedding album. It was in use all night long being passed around with lovely comments from members of their generation as it brought back some fantastic memories for them. Then there was the amazement displayed by the younger generations when they saw what their relatives looked like all those years ago. Seriously, what price can you put on that?